We’re back! Hope you all have had a successful run of things since we last met. We’ve got quite a few things to sync up on today, so let’s get to it. This week, ske7ch dropped an awesome recap of the first round of MCC Insider flighting that took place recently. It’s a great dive into the overall process and results, upcoming plans, and some delicious data analysis by everyone’s favorite Halo researcher, Dr. Jessie Thomas. It’s absolutely worth the full read, especially if you are interested not just in how the MCC testing is going overall, but also in how things like this grow and progress from a development logistics standpoint. Check it out! Last week we officially gave folks a first look at the hotly anticipated Halo: Silent Storm, a brand-new hardcover novel that focuses on the venerable John-117 during the very early years of the Covenant War. In addition to the aforementioned goodies, we released a new issue of Canon Fodder – the first one of the year in fact! The aptly numbered Issue #101 aimed to provide some additional education on the nature of Mjolnir development and variation, and its long-held place in Halo canon. Make sure and give it a look! 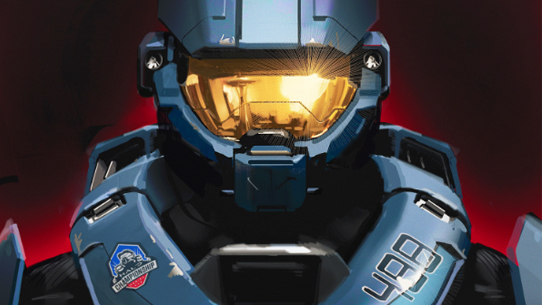 The 343 esports team has been heads down on some pretty cool new developments for the next stage in Halo 5 competition, and have catalogued some of those details in their recent HCS 2018 Settings Update. Also talked about in the Settings Update is the Forge map testing being undertaken by 343’s very own Michael “StrongSide” Cavanaugh, who has been holding public test lobbies on Xbox Live for pros and other competitive players alike to join in, try out some things we’re testing, and provide feedback in real time. Be sure to follow StrongSide on Twitter for more info on how to join in on these playtests which kicked off on this past Monday and are slated to continue through the month of May. If you’re interested in getting a first look at what’s coming in that arena for the near future, definitely give the Settings Update a read! Yesterday, we aired our sophomore episode of the 343 Social Stream, a new weekly casual livestream where we play games, talk Halo, and meet cool folks from around the studio. Last week, Uny and I rolled through Halo 5’s new Elimination playlist to the tune of 10-0. All him, really. 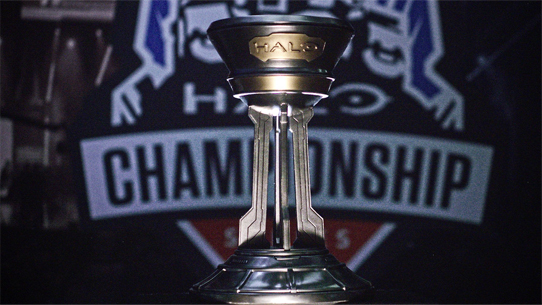 This week, long-time good buddy and competitive connoisseur Tashi joined me on the airwaves to take me through the HaloWC 2018 playlist. It was another blast of a time, talking about industry journeys, esports experiences, and more. We laughed, we cried, we probably missed some meetings – all worth it for your entertainment of course. You can catch the VOD of each episode below, and if you’re interested in catching it live, make sure you tune in to mixer.com/halo each Wednesday at 1:30pm PT for more streamy shenanigans. See you there! And now, let’s check in with 343’s Tyler “Postums” Davis for the latest on upcoming Halo Wars 2 community tournaments. So much has been going on since we last talked about Halo Wars 2. The community has been working on a lot of fun stuff lately, both independently and collaboratively with some of us here at the studio. Content creators from all over the place are making videos, streaming, and going ham on tournaments. And in the meantime, we have been getting our ducks in a row for next week’s mid-season balance patch! We also want to give a shout out to all the players out there streaming the game. We are always humbled and grateful to see so many people who love showing the game and the amazing things you are all doing in it. It’s has been a very fun and informative experience lately to hop into various chat rooms to talk shop with you all during your streams. Finally, to catch up on what the community tournaments are please check out this blog here. It has a complete breakdown of everything that has gone on and is going on. To see the updated leaderboards for the tournaments, please take a look here. For a quick update on them we are creeping ever closer to the invitational happening on June 23. There are ten more qualifying tournaments to determine seeding in the invitational with a full list of remaining dates listed below. For the mid-season balance patch, assuming all goes as planned for the next few days, we are looking to get it out early next week. So keep your eyes peeled for it and check out the current preview of the patch here. Thanks everyone! Social Savage – 343’s Josh Menke posted his latest Halo 5 Matchmaking Feedback thread on Halo Waypoint, and it’s a delicious doozy, focusing primarily on MMR (match-making rating) and CSR (competitive skill ranking). Check it all out right HERE. Playlist Persuasions – This week’s rotational playlist adventure sees the fan-favorite Castle Wars tag in to Halo 5 matchmaking, replacing Shotty Snipers. To celebrate, we’ll be hosting a 343 Community Playdate – tomorrow (Friday), 3pm PT. Jump into the Castle Wars playlist during that time, and if you match our official squad, you’ll bag yourself a glittering and glorious Ice Unicorn weapon skin for your AR. May the matchmaking gods smile upon you! Ball-smashers Unite – Speaking of playlists, next week, May 17, Grifball will slide back into Halo 5’s DMs to take its two-week stint in matchmaking. Of course, there are those who love playing the sport of the future on a more regular basis – for those, let us introduce you to PlayGrifball.com, a brand new community home for lovers of the smashy, slicy, ball-handling good time. Make sure you check it out to meet new people and enjoy some cool community events! Beach Battles back in the Home Lan – Speaking of community events, the awesome Beach LAN event is back! Beach LAN is an annual week-long, community-driven LAN event which takes place in the Tampa Bay area (specifically Indian Rocks Beach, Florida) this Aug 18-25. It is described as the “largest gathering of skilled Halo CE players in the world,” but the atmosphere is fun, lighthearted, and welcoming to all skill levels. For further details on how you can join in on the festivities, head over to beach-lan.com for more info. Go enjoy some Florida sun for me! 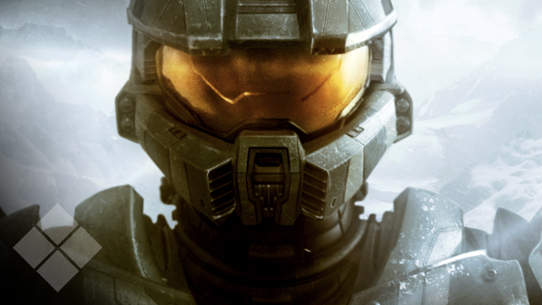 Hub-bub – So, word on the street is that the people over at ForgeHub are about to put on a fantastic contest for map creation within the Halo: The Master Chief Collection. Official details have not been announced at the time of writing this, but we have some insider information that early next week some news about it will be released on ForgeHub’s site. Keep your eyes out and refresh clicks ready come next week as we will have to check back in on this one later when more details emerge. Hawks in the Nest – Earlier this week we had the pleasure of some home-team heroes dropping by the studio, as Seattle Seahawks backfield contingent of Mike Davis, JD Mckissic, and Chris Carson stopped by to see the Halo museum and play some games. There was much yelling, laughing, trash talk, score-comparing, and inquiries about which suits of armor they could try and fit in. Oh, and a rivalry-inducing Grav Hammer-lifting contest. All in all, an awesome and memorable time for all involved. We wish them a safe, successful, and healthy season this year! 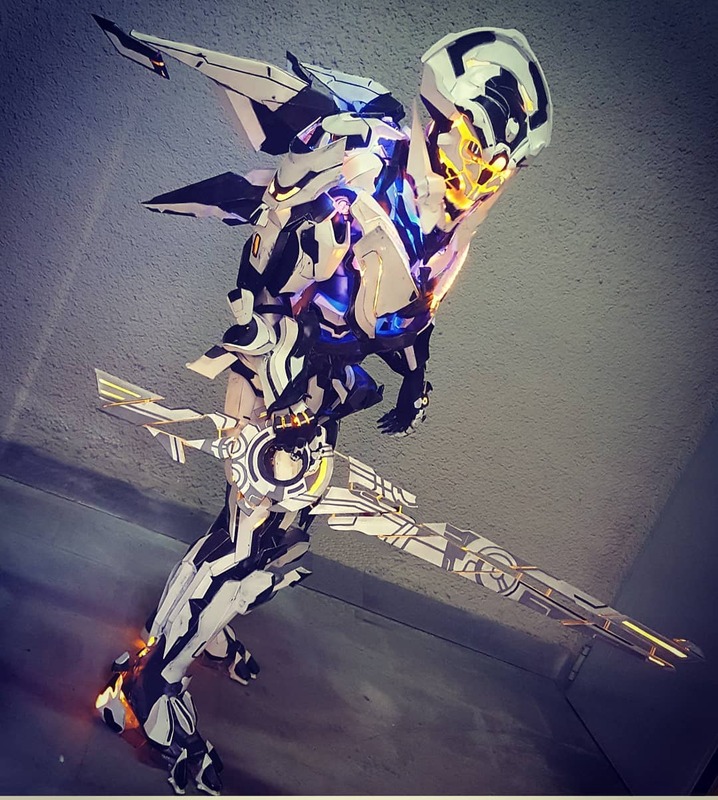 We’ve got quite a bit on tap today in the Community Spotlight – let’s kick it off with this jaw-dropping Warden Eternal cosplay by @SangheliosCustoms. Seriously, it’s incredible. Pretty much the only thing that convinced us it wasn’t actually real was the fact that there weren’t three of them bothering us all at once. Check it out! Speaking of amazing community creations, check out this ridiculous Halo: CE pistol block-build by @NickBrickBuilds. Love. It. I really liked this Halo 5 aesthetic Forge map by Ishto Sukule, who recreated the Halo: CE level Truth and Reconciliation for players to run around and play in. It’s got some really amazing attention to detail, as you can see captured here in this video by Brusky. Give it a watch and bookmark the map to play on yourself! Congrats to @itswhackage for not only graduating – but doing so with Halo honors! And now, another awesome render by Ezzell & Haruspex. Love the overall tone of the piece. 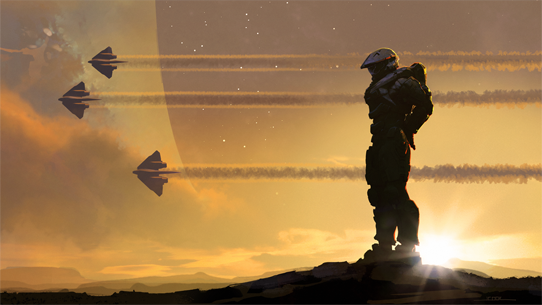 Until next time… Live well, play Halo, and tell a teacher you appreciate them this week.